Bendigo is one of the largest cities the fourth most populous city in the state of Victoria, Australia. In 1851, Bendigo was found to be a rich alluvial field where gold could easily be extracted thus within a year, transforming it from a station to a major settlement in the newly proclaimed Colony of Victoria. As a legacy of the “Gold boom”, Bendigo has many majestic ornate buildings built in a late Victorian colonial style. Nowadays, Bendigo is one of the most relevant and impressive proofs of the Victorian era. Perhaps the popularity of Bendigo is also due to its location, because it is only 150 km car drive from Melbourne. Why rent a car in Bendigo with VroomVroomVroom? Great rates - VroomVroomVroom offers great deals of hire cars from Avis, Thrifty, Budget, Hertz and Europcar. Make sure to read our Price Promise page to learn how you can secure the lowest rates. Wide selection of cars - When using our easy search system, a comparison list of available rental cars will be displayed, with prices and vehicles specifications listed side-by-side. Helpful Customer Assistance - Our consistent and outstanding service is supported through our friendly customer care team staff. For visitors travelling from Melbourne to Bendigo via the Calder Freeway (A79), is less than two hours via car rental. If you are coming from Sydney, you may take the Hume Highway (31). Note that several other regional centres are also connected to Melbourne via Bendigo, thus making it a gateway city in the transport of produce and materials from northern Victoria, as well as the Murray to the Port of Melbourne and beyond. Weather-wise, the perfect time to visit this wondeful city is during months January and February. The months of March, April, May, September, October, November and December are also good, especially when the temperatures are a bit cooler but still between fine and pleasing. Now, if you enjoy wearing a coat, the perfect months to explore Bendigo are June, July and August. February is known to be the warmest month, while the coldest month is in July. It is clear that there are many things that you can do and see in Bendigo. With a rich history, Bendigo is still among the top goldfield producers in Australia. The hilly surroundings of Bendigo offer great sights and they also represent a friendly environment to live in. Book a hire car and witness numerous sporting events, shopping opportunities and beautiful attractions that make Bendigo a must see. This is the Victoria's first accredited museum! The Chinese heritage is an essential part of Bendigo. Since the goldrush era, the Bendigo Chinese community has influenced the rich history of Bendigo! The Golden Dragon Museum depicts a living history of the Chinese people of Bendigofrom the goldrush era to the present day! And having become the center of Chinese cultural activity in Australia, the museum allows visitors to experience firsthand the Chinese arts and crafts! The highlight of the Museum is the permanent display of Sun Loong, which is the longest imperial dragon in the world! Not just the longest in the world, Sun Loong is also the oldest imperial dragon! Six meters under the ground, wear those hard hats and bring those lamps. Be ready to walk the footsteps of the miners who discovered one of the world's most precious metals! With total duration of 75 minutes, you'll be captivated by Bendigo'shidden world as you're guided through the tunnels which have marked great significance in Bendigo'shistory! And after going through the tunnels, you'll be given a chance to explore the surface of the mine where you'll see treasure troves of vintage mining machinery, gold panning, and interpretive museum! The Central Deborah Gold Mine has a history of more than 150 years, and it represents the perfect opportunity for you to get a taste of the underworld and to be a part of the gold mining history of Bendigo. Experience many tours that offer a trip to this mine, and you may even witness some amazing demonstrations. The Sacred Heart Cathedral is definitely one of the greatest landmarks of Bendigo. Move your hire car to the impressive size of this Catholic church that made it the second-largest in Australia, and it was designed by one of the best architects in the country. The Queen Elizabeth Oval is home of the Bendigo Diggers and it hosts some of the most impressive test cricket games. With a capacity of 18,000, park your hire car in this stadium which is not to be missed by the sports passionates. The Bendigo Art Gallery which is perfect for the ones interested in arts, especially since it is one of the oldest galleries in Australia. It dates back to 1887, and since then it has been considered one of the largest regional art galleries, hosting an impressive collection of sculptures, paintings, drawings and prints which are representative for the 20th century. After a visit in Bendigo, you'll definitely agree that treasures are meant to be taken care of! Because aside from gold, Bendigo has taken delicate care of its' another amazing treasure —its' dazzling history! Located about 6.5 kilometers north of Alexandra Fountain in the centre of Bendigo, Bendigo Pottery has been famous for creating high quality ceramics for both domestic and commercial use for over 150 years! Yes, Bendigo Pottery is Australia's oldest working pottery! In Bendigo Pottery, you'll see the most significant collection of heritage-listed, wood-fired kilns in the world, and many more! 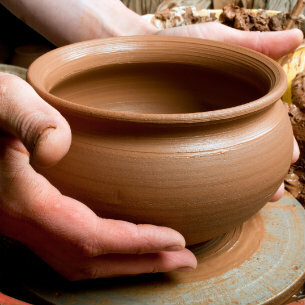 And guess what, they also offer wheel throwing lessons for people who are interested with this very delicate art! If you want to learn the treasure from Bendigo's gold bearing soils with great pleasure, then this is the ideal tour for you. Tour includes transport, tastings at three wineries and an afternoon antipasto platter. For those who are interested, tours need at least a minimum of two people. Note though that if booking for groups larger than four, a special rate will be provided. You may enquire at the time of booking. Tours are available for groups up to 45, just enquire with the Bendigo Visitor Centre for availability and rates, on 1800 813153. Pick up time is around 1:30pm, followed by tasting at 3 wineries including LynneVale Estate Sumptuous afternoon platters at LynneVale Esate Drop off at around 5:00pm. Located 3.9kms south of the Bendigo Town Centre on High Street, about one hour and 30 minutes drive north from the Melbourne Airport and one hour drive from the Victorian border town of Echuca/ Moama, the Quality Inn Colonial can be found right in the heart of the Goldfields Region and is one of Victoria's largest and most progressive towns. A local leader in Bendigo motel accommodation, the Colonial provides comfortable, clean and convenient haven that's perfect for families and business travellers, with 34 rooms, conference & function rooms, indoor heated pool, spa and sauna, room service, wireless Internet, as well as friendly and professional staff guaranteed to make each and every guest feel welcome and well taken care of. Situated in McIvor Road Bendigo, approximately 600 mtrs from the edge of the Bendigo CBD and tourist destinations, Bendigo McIvor Motor Inn has 20 quiet, quality ground floor suites including, twin & family rooms, all at affordable rates. Great facilities include on premise parking, direct dial phone, free Wi-Fi, quiet R/C air conditioner/heater, 32 inch LCD TV, toaster & kettle & fridge coffee & tea making facilities, breakfast delivered to suite, clock radio, iron & ironing board, microwave, hairdryer, ensuite, tables & chairs, queen size bed, settee and Bistro/Pub oppposite. This award-winning restaurant The Woodhouse, is Bendigo's only dedicated steakhouse, which offers a vast menu, famous for the signature regionally sourced Charcuterie selection, wood-fired gourmet pizza and a robust range of desserts. Executive chef/owner Paul Pitcher boasts a 25 year cooking career, and along with wife Danielle they strive daily to champion some of Central Victoria's best local produce. Every dish has been designed with a focus on both fresh local produce and top quality ingredients. Masons of Bendigo can be found under a chic black awning on Queen Street in the heart of Bendigo's bustling CBD district . A sophisticated restaurant with an open and relaxed surroundings, Masons continues to go after toward providing the very best of Central Victorian produce in a carefree ambience. In addition, they offer a share style dining experience with the time to taste a number of flavours.